In this article, we will discuss about the concept of how we can generate the proxy for a service to use it in a client application. So let's start by adding a new application of Console type. 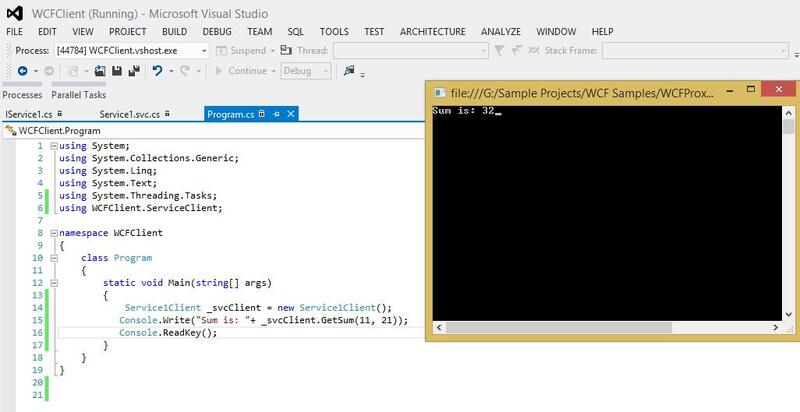 Next, we add another project to the solution, of type WCF Service Application. Next, in order to use this service in our client application, we will right click on project and select the option 'Add Service Reference'. 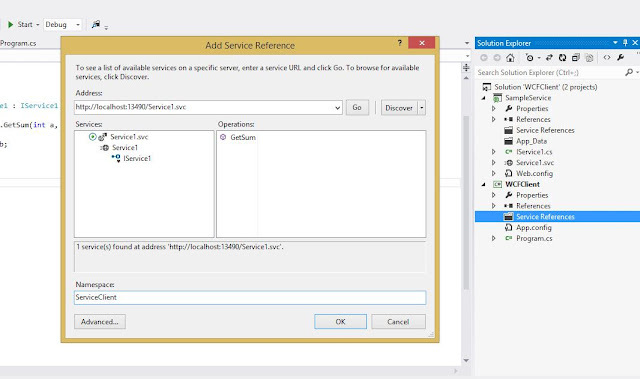 This will open up a window, where we can add the url of the service, where it is currently hosted. 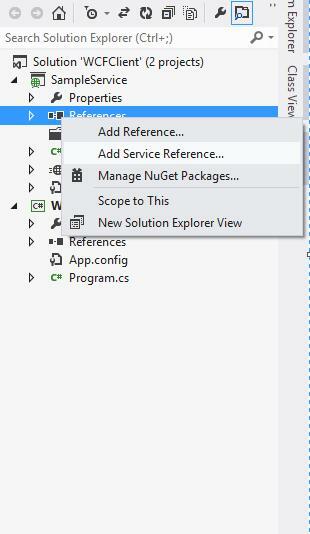 In case of current application, click on 'Discover' and it will automatically get the current service in the solution. You can expand the service and see the methods available. In case of any issues in your service, it will not be able to locate any service. 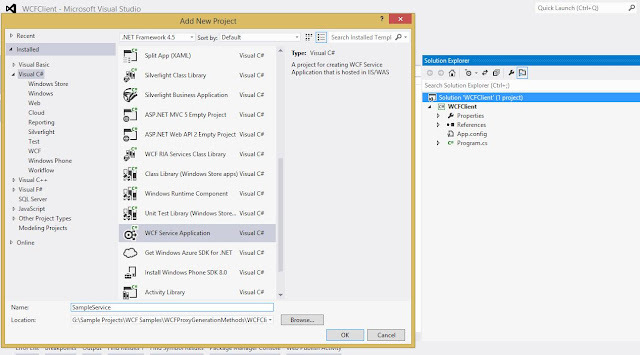 Provide a namespace and click Ok. This will add the service reference in the client project. 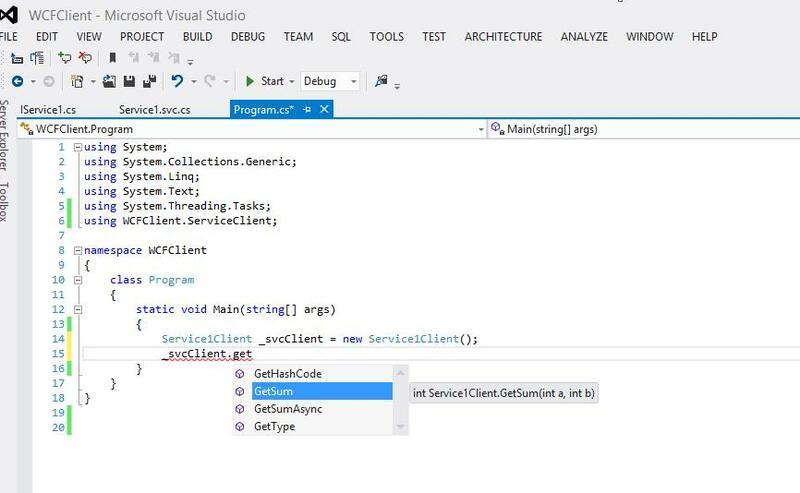 To use the service, add the ServiceClient namespace on the project and the service can be accessed by the name as Service1Client. Use this service client instance to access the service methods. In our case, it is GetSum method. Run the code and see the results. Easy to use, isn't it. Happy coding...!!! Nice article...a video demonstration would be great.